The presence of lead or steel shot in cereal grains at intake is a continuing issue for many flour millers and breakfast cereal manufacturers. Although some shot can be screened out a significant quantity may remain to contaminate end-products. Lead or steel shot in cereal grains at intake is a continuing issue for many flour millers and breakfast cereal manufacturers. nabim trade policy manager, Martin Savage, said: “Despite many attempts, it is impossible to determine whether the shot results from farmers shooting within grain stores or whether it comes from shooting over standing crops. “A recent case was where a neighbouring farmer operated a simulated ‘driven-game’ clay shooting operation on neighbouring land and the shot fell onto the adjacent wheat crop. Although it is difficult to understand how significant quantities of shot can result from this practice, and survive the harvesting process, it is a potential threat to food safety. The milling process flattens the shot to paper-thin proportions which cannot always be found by the in-line metal detection systems. In the past, there have been recalls of finished baked products which is costly and potentially damages the reputation of the food producer, according to nabim. “Flour millers prefer to work with the supply chain to educate farmers that this problem can be easily prevented. 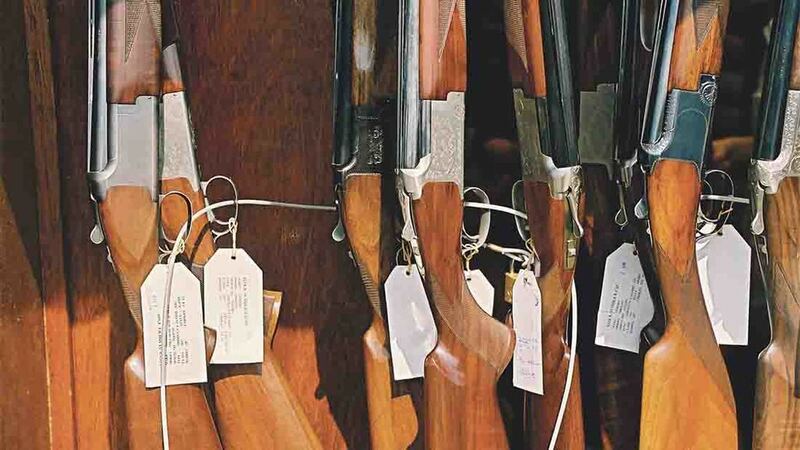 However, we will always attempt to identify the loads containing shot and will not hesitate to seek compensation where problems occur,” said Mr Savage. Members of the UK Association of Cereal Food Manufacturers (ACFM) who produce UK breakfast cereal brands have raised similar concerns and said under no circumstances should shooting be used as a method for pest control in stores. Derek Croucher, Morning Foods technical director and chair of the British Oats and Barley Manufacturers Association (BOMBA) technical committee, added: “Food safety is clearly the main focus for BOBMA members - the presence of lead shot in grain is a food safety concern and is unacceptable. A Red Tractor spokesperson said: “Food safety is of utmost importance to Red Tractor Assurance. Within our standards, all members must carry out a risk assessment to reduce the risk of contamination. This must take into account all possible sources including lead shot.